Blogging at conferences is a lot of fun. I find it helps me keep my attention focused during the lectures, and the post is a very useful reference months later when I’m trying to remember what a particular session was about. It’s also great for the presenters to read the post and see how much I understood of what they were saying, and what I made of their overall thesis. Colleagues at work benefit from reading the posts too, especially those who wanted to but couldn’t attend the conference. When I first started going to conferences, I wrote notes during each session by hand – yes, on paper! Then I transcribed them into a blog post and published it late that night. Phew, lengthy process. Soon I started taking my laptop into the sessions with me. (When I buy a laptop these days, one of the “must haves” is a quiet keyboard.) I took notes in a text processor (I like NotePad++) then copied them into a blog post and published it late that night. Better, but still lengthy. I take my laptop to the lectures, and type detailed notes during the session. I have a very simple “template” – more like a format in my head that helps me to get the post started and to give it some shape. If possible, I get a wireless connection from the conference organisers, and write the material directly into the blogging platform (WordPress). Then I publish the post immediately, as soon as the session finishes. If I don’t have an Internet connection then I take notes in NotePad++ and put them on the blog later. But that takes a lot of time that would be better spent socialising or sleeping. I usually plan the sessions that I want to attend beforehand, and try to blog about them all. Sometimes a session is just too technical or detailed, and then I abandon the post. Very occasionally I find myself in a session that’s not very good or that I’m not enjoying for some reason, and I abandon those posts too. When choosing sessions, I look for topics that are new to me, or for something that will supplement what I’m already doing at work. For the last conference my manager even told me which sessions he would like me to attend and blog about, so that the team could read about them! While taking notes, I’m constantly filtering and organising the information. This is something our brains do anyway, I think. But I do find it easier to write notes about almost everything in the session, because it actually takes more time to filter the content than to note it all down. Also, I usually write the notes in sequential sequence as the speaker introduces the subject matter, but occasionally I re-arrange sections on the fly, into a sequence that I find more logical – at least for the blog post! Posted on 6 February 2013, in technical writing and tagged blogging, conferences, technical writing. Bookmark the permalink. 18 Comments. Oh, what fun – thank you for bringing this up, Sarah and fellow tech writer! I actually still use the “yore” process. It’s obviously less efficient than Sarah’s process, and it means I drop some posts when the socialising gets the upper hand and I can’t find time to write the posts. But I’m most comfortable with it, and it’s most effective for me personally. For one thing, I’ve developed an idiosyncratic short-hand way back in college which I still use to take hand-written notes. That is way faster and more error-tolerant than I could ever type on my netbook which I bring to conferences. The additional step of turning notes into blog posts also allows me to reflect what I found important about a session and what I think about it. I can take notes quite fast, but I don’t do weeding, sorting, judging very well ad hoc – it’s when my introvert who needs time alone to think catches up with me. I’m with you on all the benefits of blogging conferences: Future reference. Feedback to presenters (I’m sometimes quite surprised when a “throwaway point” from my presentation gets featured as a major takeaway in a blog post). Sharing with fellow tech comm’ers who couldn’t attend. I’m curious to hear what others think and how they do it! I need time to mull over the main points of a session, so I take handwritten (scrawled!) notes on the conference publication (if there is one) or in a paper notebook if there isn’t. My typing is not quick enough (or, more importantly, accurate enough) to live blog, and I’m all thumbs when it comes to Tweeting sessions on my SmartPhone. Lugging my old and cumbersome laptop to sessions has a lot of disadvantages too (yes, I should upgrade to a smaller, lighter, more responsive model or a tablet duo, but I’m not on the road enough to justify it; besides what do I do with the old one?). So I use the old school method of jotting notes in the margins of the handouts, then blogging ASAP after the day’s sessions — usually later that night or sometimes in the gap between the end of the sessions and the social event. If the conference is particularly active and social, it may even be a few days before I get to write up my experiences. 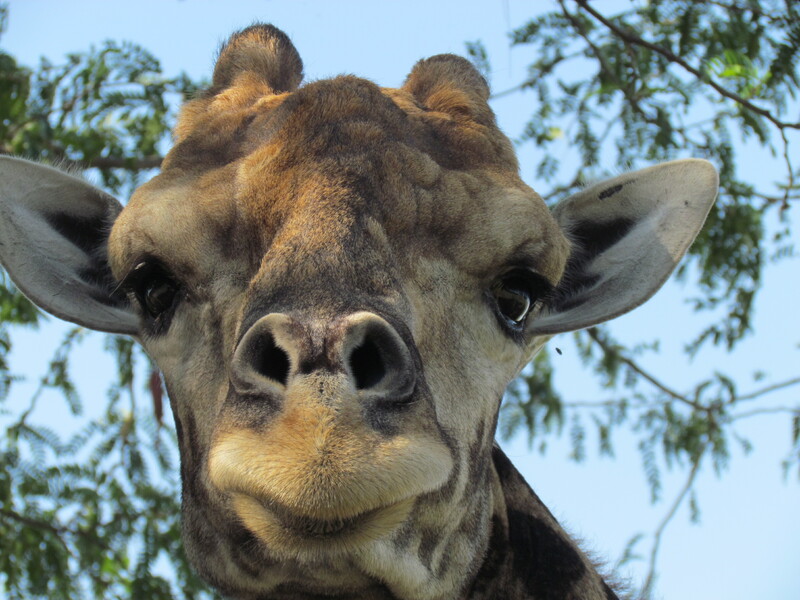 Oh, and CUTE giraffe, Sarah! I scribble down notes in my trusty, fabulously sized, Moleskine notebook. This is primarily for my own use – noting down actions we, as a business, should take. I also tweet the odd comment during the presentation itself. Blog posts tend to be done after the conference, and having had some time to reflect on the presentations. I’ll use my notes, tweets, my memory and the conference slides to recall what was said. There are more reflections on a presentation, rather than a summary of the presentation itself. That should be “These”, not “there”. Another reason why I don’t blog “live”. I like to read people’s tweets and blogs about conferences. Awesome post Sarah! I often tweet at conferences. I find this is a really useful way of “taking notes” that can later be turned into a blog post as well as letting people “attend” in real time. I tend to bring a tablet to conferences as they are much less cumbersome. They allow me to tweet AND take notes. On a slightly different note, I know that for some a blog is a showcase for your professional ability. This is true. However during a conference I think your guard can be lowered a little. As any form of social media, a blog is social with a capital “S”. Yes we must strive not to make errors but in a conference environment, the pressure to deliver something can win over the pressure to deliver something perfect. Personally I think this is acceptable, if not entirely desirable. Thanks for posting this Sarah. Appreciated. A lot of interesting approaches on how various people approach blogging at conferences. Hopefully, I don’t make a mess of it when I get to the tekom India conference. @Swapnil: May I offer one bit of advice for the less experienced conference blogger? Unless you have an official blog mission, dare to stick to what strikes you as interesting and fascinating. Such posts are more engaging for you as a writer – and for your readers, too, because we can feel that someone has some stakes in it. Absolutely agree on your last point Kai. If you don’t find something interesting, the chances are your report of it won’t be either. Thanks to everyone for all your great replies. What a wealth of useful experience! @Kai, I’ve had that feeling of delighted surprise too, when a “throwaway point” from one of my presentations gets featured as a major takeaway in someone’s blog post. That can open up new channels of thought for me too. I love @Colum’s point about a blog being primarily a social tool. The comments on this post are an excellent example of the power of blogging to learn from and share with others. I’m closest to what @Ellis does. A conference is for me, so my Moleskine is the place to jot thoughts, contact info, questions and answers. If I do talk about the presentations it’s either at the end to the presenter or months later after rereading the slides. Slides are very important for me since they have much more information density than videos. I think I like to see good presentations as the start of a conversation. I’m not much of a journalist! Thinking about what I just wrote, what I enjoy is when the conversation becomes part of a longer piece of work such as a technical book. @Kai – Thanks. I was thinking along the same lines. I don’t want to end up merely reporting a presentation (journalistic manner), but would rather blog about my experience and any interesting/fascinating things I learnt. Hi Sarah, Thanks for posting this. informative and useful!! I too am an aspiring blog blogger but I’m still new to the whole thing. Do you have any recommendations for rookie blog writers? I’d genuinely appreciate it.